WEBINAR SNAPSHOT: Learn how your practice will benefit from data analytics and new technologies. The practice of law is not immune to the changes emerging technology is bringing to other professions. Every week attorneys are introduced to new technology designed to either make practicing law more efficient and less expensive for clients or remove lawyers from the process of solving problems for consumers altogether. Given the rapid pace of these developments, and the ethical obligations we have to be competent with the technology we use, we have to examine risks and rewards of new technology with a more careful eye than ever before. Legal technologists are forecasting a revolutionizing effect of data analytics and artificial intelligence (A.I.) in discovery, document review, and in defining legal strategies. The future of our profession will be less about forms and more about passionate knowledge management. The focus will need to be on designing legal tech systems, working across disciplines, and creating legal processes for clients rather than memorizing law. Brian S. Faughnan practices with the Tennessee law firm of Lewis Thomason, resident in its Memphis office. In addition to the area of lawyer ethics and professional responsibility, Brian maintains a civil litigation practice focused on business and commercial litigation, and appellate litigation. Brian is a frequent author and speaker on ethics and professional responsibility issues. He is a member of the Board of Directors of the Association of Professional Responsibility Lawyers. 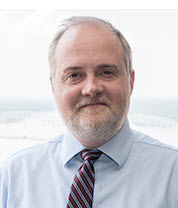 Brian has been the Chair of the TBA’s Standing Committee on Ethics and Professional Responsibility since 2009 and is the Eighth District Governor of the TBA Board of Governors.